Today we hear from Cathy, who shares with us her incredible, inspirational story through 3 miscarriages and cancer. 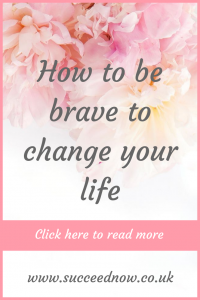 Cathy shows us how being brave can change your life. I am a very logical person. Once I know the problem that has to be solved I can think through and implement that solution. 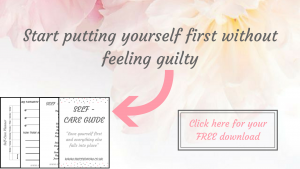 However having had suffered 3 miscarriages and no logical answer to what caused this, it started to eat away at me ( mentally, physically, emotionally). In my quest to understand my fertility struggles and why something that should come naturally as a woman my body wanted to reject I went from doctor to doctor as in my mind there had to be a logical answer. There had to be a rationale. I went to so many doctor appts and underwent rounds and rounds of testing. I felt like a human pin cushion and it all became so robotic. After months of testing and countless doctor visits, what I got was news that rocked my world. I had Thyroid Cancer! Not only did I not have an answer for my fertility struggles. I now had another battle to face. Admittedly I didn’t want to believe what the doctor was telling me. I still can recall that day as if it was yesterday. I made the doctor give me a print out with the biopsy results as I had to see it and hold it to believe it. When I left the doctor’s office and remember just sinking to the floor, sitting there in the hallway, staring at the printout for what felt like hours. I spent the next 48 hours in a haze of trying to figure out how to respond, how to tell my family and my head just spinning. But by Monday morning I woke calm with a clear plan of attack in my head, a clear course to fight not only for my life but for the ability to have the baby I had been fighting for years to have. 2 weeks after my diagnosis I had my thyroid completely removed and subsequently underwent radiation treatment. I’m happy to say I will be 11 years cancer free this September and am forever grateful for my 7-year-old son! What no one told me when I was going through my cancer treatments and subsequent follow ups is that this would mean an overhaul of my life. The thyroid supports vital body functions including heart rate, body weight, muscle strength, body temp and more. It plays a role in everything from mood to bone health. While I am on thyroid replacement medication for the rest of my life; it mimics thyroid function but is not a complete replication of thyroid function. Also, the medication comes with side effects, and I just recently learned that there are some lifelong impacts from the radiation I received as well. What this meant was that I had to relearn my body; how it reacted to foods, exercise, and sleep patterns. I had to gain a new level of awareness in my body in terms of foods that gave me energy, when to set boundaries as my body burns out faster, and I need more sleep than I used to. Everything I knew and had worked before in terms of losing or even maintaining weight no longer worked- my body no longer responded the same. I had to learn through trial, error and frustration. This level of frustration had me searching for a way to manage the stress and anxiety. My journey to living mindfully started with a visit to a yoga studio, I went to that yoga class with a friend as a “ladies night out” adventure. I had no idea at the time the pivotal impact that laughing, joyful night with a friend would have on my transformation. Since that initial visit to the yoga studio, I have grown into a routine yoga practice even bringing my son to class! We practice yoga together finding joyful ways to learn and grow. We go to a variety of classes from fun playful classes, aerial yoga and he impressed me with participating in a 90-minute restorative class on New Year’s Day. I began to focus more on today and be present. To fill my plate with so much positivity that the negativity falls away and has no place in my life. I implemented some simple daily steps to keep focused on my vision. I start my morning with repeating simple daily affirmations; I am strong, I am smart, I am deserving. This helps keep me centered even when life throws me curve balls. It takes no more than a few minutes yet makes a difference in starting my day with positivity and confidence. Each evening I take 10 minutes to either meditate or journal after my son has gone to bed and the house is quiet. This forces me to pause and reflect on the day and clear my mind of noise before ending the day. Journaling allows me to note down the achievements of the day, no matter how big or small. These small daily habits allow me to show up fully in alignment with the person I am meant to be. These small daily habits have impacted my life in ways I could not have predicted. I do not stress in the ways I used to, I go forth each day with an attitude of gratitude and love my body for what it is instead of what it is not. Even more so as a single mom I had to learn how to make these new ways of living every day habits that I could easily incorporate into everyday living as an army of one. While it was initially incredibly frustrating to essentially start over learning my own body it brought an appreciation for the fact that there is no one size fits all formula that works for everyone. I learned to question things for a deeper understanding of the impact it has on the body and mind. I began to truly give myself grace as everyone is at a different place, in their life, body and journey. The day my son was born I swore that I would do all that I could to show up as the best possible version of myself for him. He is my miracle baby and I wanted him to know the Mom that had energy to run and play, who wasn’t afraid of being goofy with him, and was strong enough to keep going even on those tough days. I have to admit there was no lightbulb moment during my transformation that made me decide to go into coaching. What did happen though was I started showing up differently. I started to walk the talk, I started to laugh and smile more. It was getting noticed. I had friends ask me what I was doing. There were fellow moms ask my tips and tricks for doing it all (newsflash – I don’t do it ALL). Teammates came to me ask questions around endurance events. After some time had passed a close friend said to me why aren’t you doing this, you could reach and impact so many more. Are you ready to rise up and unshackle yourself from limiting beliefs? It is time to empower yourself with success rituals to gain strength, energy and confidence to show up as the best possible version of yourself! 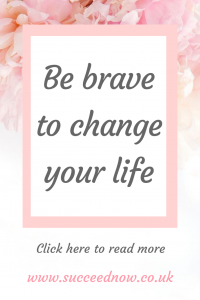 Being brave can change your life. Cathy McKinnon owner of Wellness Warrior Coaching lives just north of Chicago with her son. She works with women to establish sustainable, healthy, balanced lifestyles through health, wellness and mindfulness coaching programs. You can connect with Cathy on Instagram and Facebook.